When it comes to beautifying a big, open deck, always consider adding eye-grabbing planters filled with flowers and plants. Flowers are an affordable, simple way to enliven any space, especially when complemented by fabulous containers. 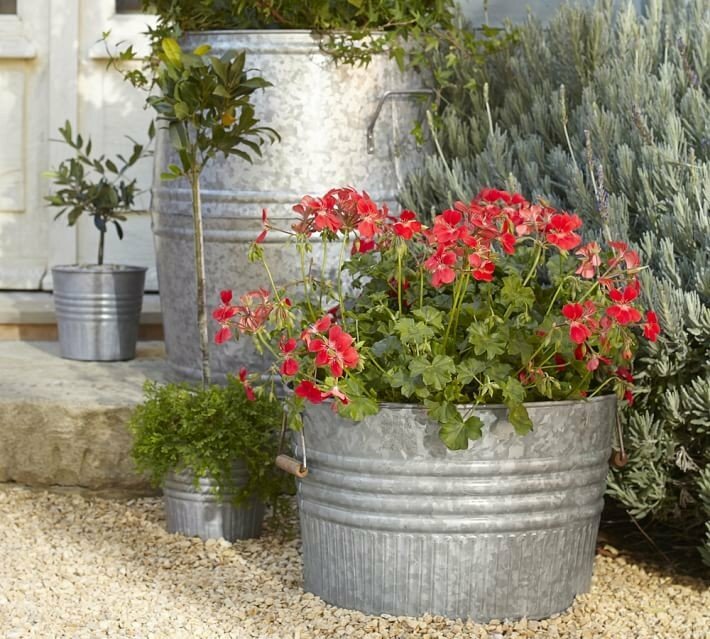 Get creative, think outside the box, and forget about the large round ceramic pots. 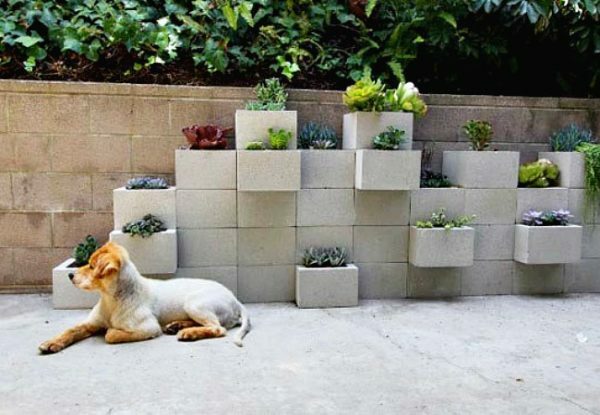 Replace all boring containers with attention-grabbing planters to enhance your living space. There is no need to buy from stores, just look around. 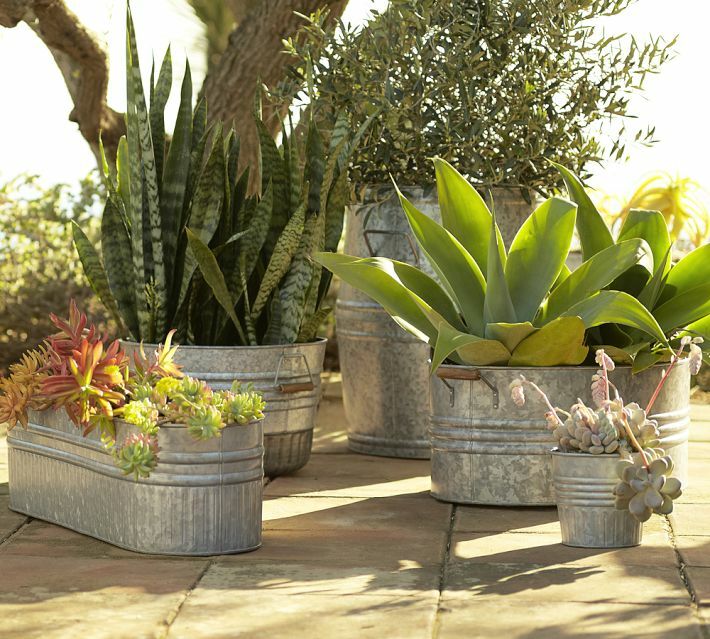 From DIY upcycled vintage pieces to containers meant for other uses, you have an array of options to plant your flora in amazing pots that will add tons of personality to your outdoors. Protected from rusting with a special coating, galvanized metal is ideal for outdoor planters. From small pails and cans, to buckets tubs to larger storage containers like barrels, you have a variety of options to choose from. 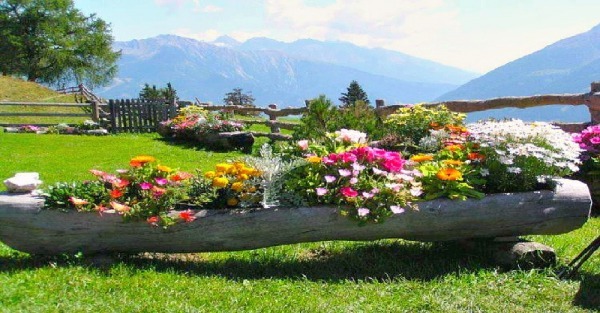 Just unleash your imagination and create a captivating planter arrangement on your patio. 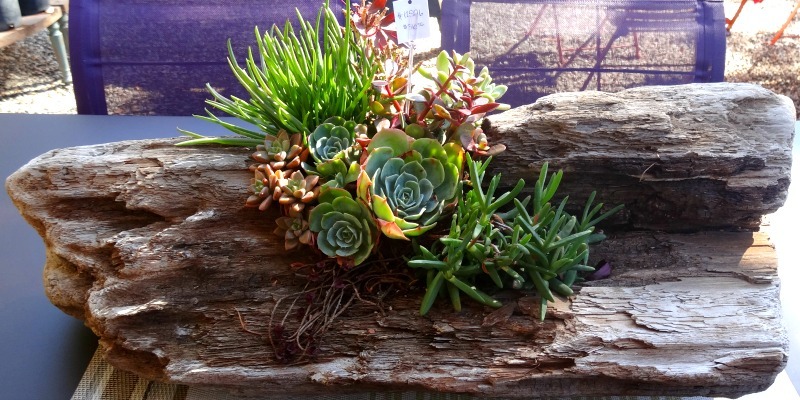 Find a good-looking piece of wood or log and use it as a planter. You can either cut a space into the log or utilize its natural hollows for your plants. Actually, in this planter, the focus is equally on the wood and plants. Fascinating, isn’t it? You have a chandelier whose look you like, but it doesn’t fit into the décor of your living space anymore? Why don’t you bring it outside? 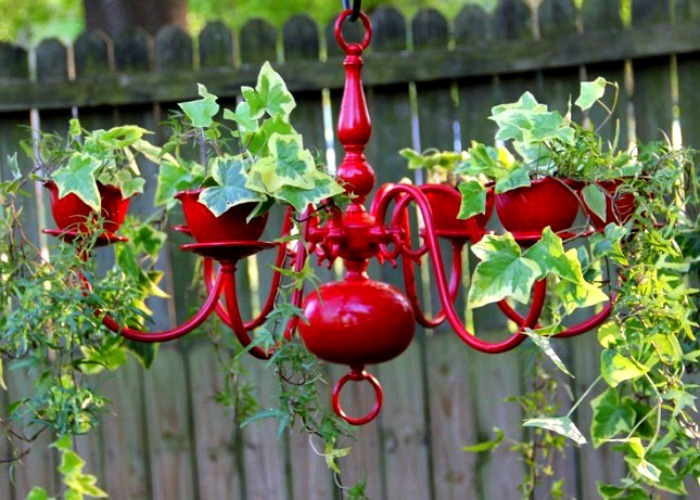 Upcycling a chandelier and repurposing it into a statement hanging planter is pure creativity and resourcefulness. Not to mention that if you opt for a vintage piece, this hanging beauty will add so much vintage charm and personality to your outdoor space! Just imagine the unique look you can lend your outdoor space with just a coat of paint and some creativity! If you want something more urban-like, opt for concrete planters.